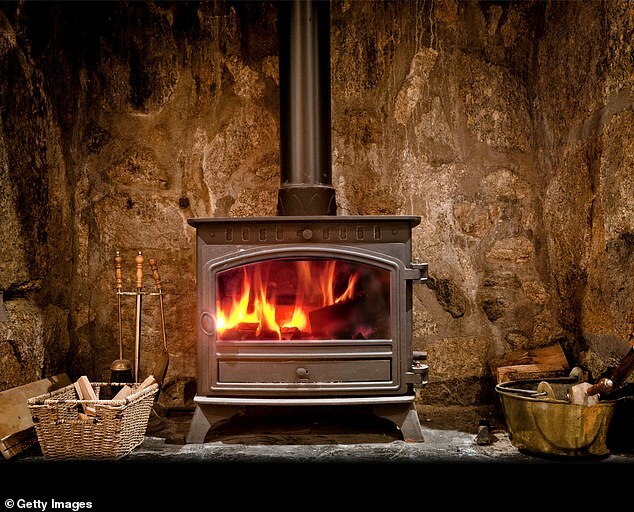 WOOD-burning stoves are putting "lives at risk" and pose a real danger to the environment, scientists have warned. Researchers say they give off six times as much pollution as a diesel truck and could be making you ill.
Today in Britain there are more than 1.5 million wood-burning stoves, and about 200,000 are added to that total every year. Researchers have found they emit tiny particles, known as PM2.5, which is the most harmful type of air pollution and is linked to heart attacks, strokes, cancer and dementia. Dr Gary Fuller, a leading pollution scientist at King’s College London, has now said action must take place "urgently" to cut down on the craze as "lives are at risk". He warned wood-burning fires can produce about six times more particle pollution than a modern diesel lorry, or 18 times more than a modern diesel car. In a new book, released this month, he said: “Wood fires are choking the British atmosphere, adding to the smoke particles from traffic, industry and farming that cause thousands of preventable deaths. A study he carried out found wood smoke was adding more particle pollution to London’s air than the first two phases of the city’s low-emission zone were expected to remove. He wrote: “If we introduce still more wood burning, particle pollution in the air of British cities is expected to be similar in 2030 to what it was in 2015, despite improvements in vehicle emissions. “It was only in 2015, when a Government survey revealed that about one home in 12 in the United Kingdom was burning wood, that it was finally recognised as a problem. It has been calculated that particle pollution caused 29,500 premature deaths in Britain in 2010 and that a short period of high air pollution in March and April 2014 caused about 1,650 additional deaths. Mr Fuller's book The Invisible Killer: The Rising Global Threat Of Air Pollution – And How We Can Fight Back is released at the end of this month. In it he said the latest research suggested the effects of wood smoke were even worse than feared. He wrote: "It does not dissipate harmlessly. On the contrary, scientists have discovered that wood smoke changes over time as the gases and particles in the smoke react and then make yet more pollution particles. “However warm, cosy and no-doubt stylish they make us feel, we have to question the place of wood fires in towns and cities.